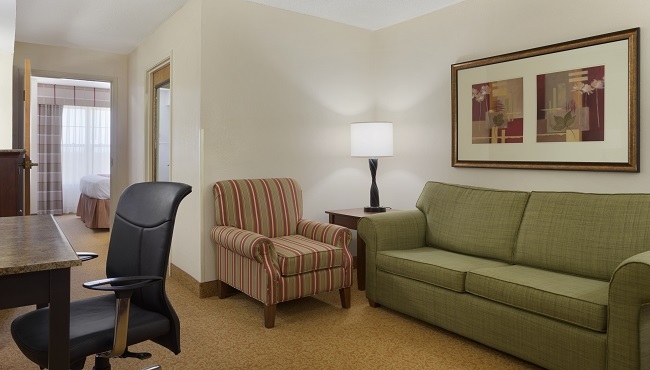 To enjoy a warm welcome and amenities like free Wi-Fi, book your next visit to Georgetown at the Country Inn & Suites. 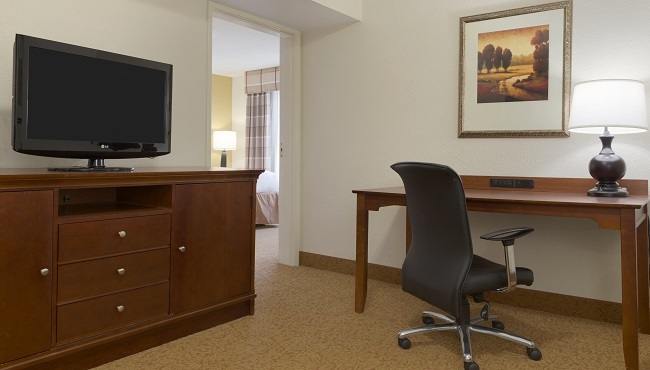 Our hotel’s spacious suites keep kids entertained with a 32-inch flat-screen LCD TV with cable, and business travelers appreciate having a work desk for finishing up last-minute paperwork. All rooms include a refrigerator and microwave, so go ahead and bring home leftovers from all the delicious nearby restaurants. The hotel also offers cribs and rollaway beds if you need extra bedding for the little ones. 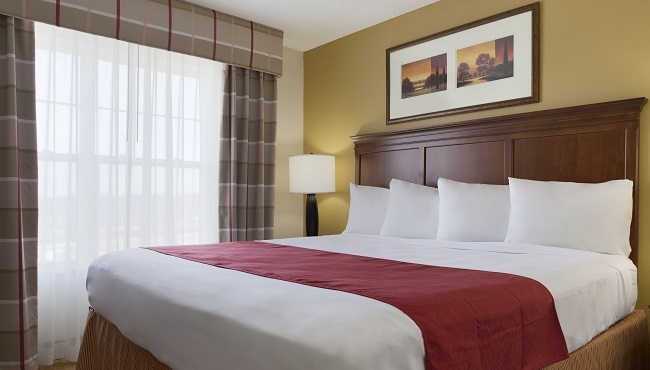 Whether you’re in town for a single night or an entire week, our Standard Rooms feel like home thanks to amenities like free Wi-Fi, microwaves and refrigerators. Choose from one king bed or two queen beds. Enjoy an open floor plan with a king bed and a living area that includes a queen-size sleeper sofa and an armchair. For added privacy, choose the One-bedroom Suite with a door separating the bedroom from the living area. Guests can enjoy a sleeper sofa and an additional TV in the living area. A great choice for couples, the Studio Whirlpool Suite offers a spacious floor plan with a whirlpool situated beside a king bed. For a romantic special occasion, book this one-bedroom suite that features a private whirlpool. The separate living room includes a TV and a sleeper sofa. Groups and families appreciate the space and privacy of this suite’s two separate bedrooms. The living room includes a sleeper sofa, an armchair and an additional TV.